“Lending a perfect air of deadpan drollery and lady-killing seductiveness as Bolt, Scott Gerard is a master farceur…with his sleepy-eyed glare, laid-back speech cadences, and the ability to maintain a straight face, Gerard serves as a welcome anchor. "An inspired script and a magnificent central performance add to the magic of a magical evening. Considerably more than the sum of its parts." "Elizabeth V. Newman plays a new assistant with determination in her heart and stars in her eyes, as the twists and turns of the plot require." "Groff sees the manipulations of magic and love as 'a world of astonishment' and Klein's production fulfills that intent with humor and delight." 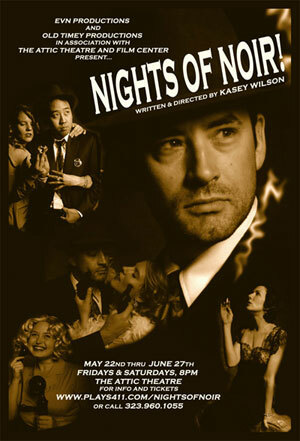 "Sleight-of-hand and heart all in one...make for a fun evening of theatre. Try to catch it!" "Haunting intrigue, illusion and disillusion make an entertaining evening at the Complex in Hollywood. And yes, there is magic...Get there a bit early, the performance I saw was sold out and the magic starts while the audience is being seated." "Talya Klein and company deliver this very particular world on a lot of levels..it takes itself seriously and at the same time hangs on to its precious frothiness...Klein keeps the illusions moving beautifully."